On March 22, we held our Evaluation Exchange event where we celebrated the wonderful work UCL researchers and voluntary organisations have done over the past six months. 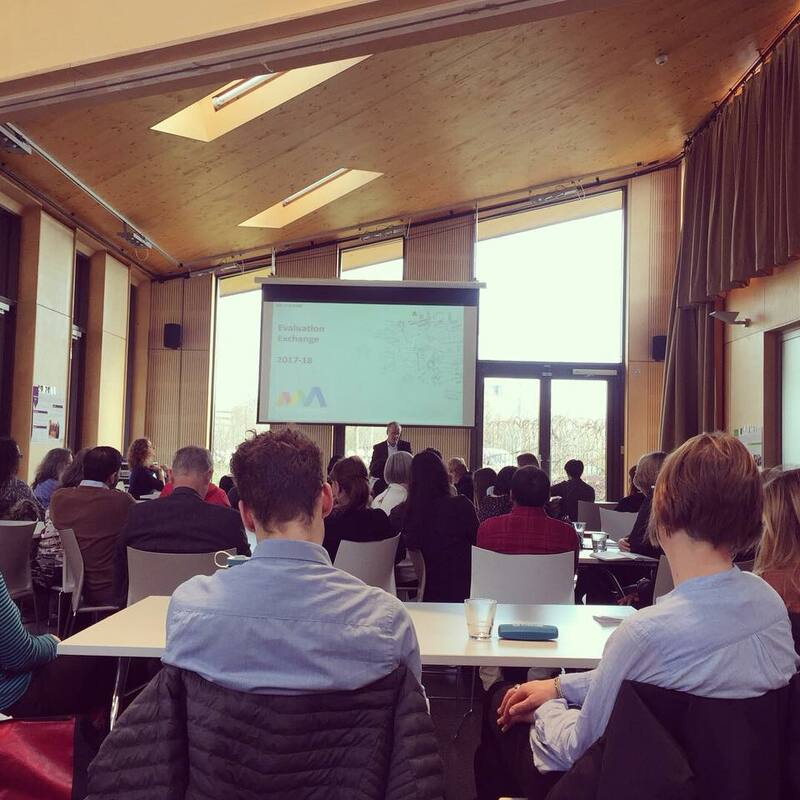 The Evaluation Exchange is a project that we have organised with UCL Public Engagement Unit; it partners up groups of researchers from UCL with an east London based voluntary organisation. The aim of it is to solve an evaluation challenge. Some of the east London organisations that have taken part in the project are: The Magpie Project, Caritas Anchor House, Alternatives Trust, IROKO Theatre and the Renewal Programme. The event enabled members of the voluntary organisations and their research partners to show attendees their evaluation process; the methods or tools used and the advantages to using such methods. It was evident that many of the organisations felt that in previous years they only evaluated their data through numerical methods i.e measuring how many people attended their sessions over a certain period. However, through working with UCL researchers, the voluntary organisations were able to find out how they can evaluate the impact their work has on their recipients. Through hearing from the different researchers, we also discovered the many innovative ways that we can gain information, and that not all data has to be gathered through a generic questionnaire. For example, researchers that were working with IROKO theatre company used what they called a ‘IROKO Tree of Discovery’. Participants were asked to hang different coloured leaves (red, amber and green) onto the tree to signal their satisfaction levels. This was a fantastic, visual way to collate data. Other researchers used both quantitative and qualitative data to gain a comprehensive understanding. Labour councillor, Rachel Tripp also attended the event who said, ‘through seeing the work in the voluntary sector, I have seen the power of a civil society’. Her words illustrate how important it is to continue supporting vulnerable people in our society. Ultimately, the event highlighted how vital and beneficial collaborative work is. We want to thank everyone for attending our event!